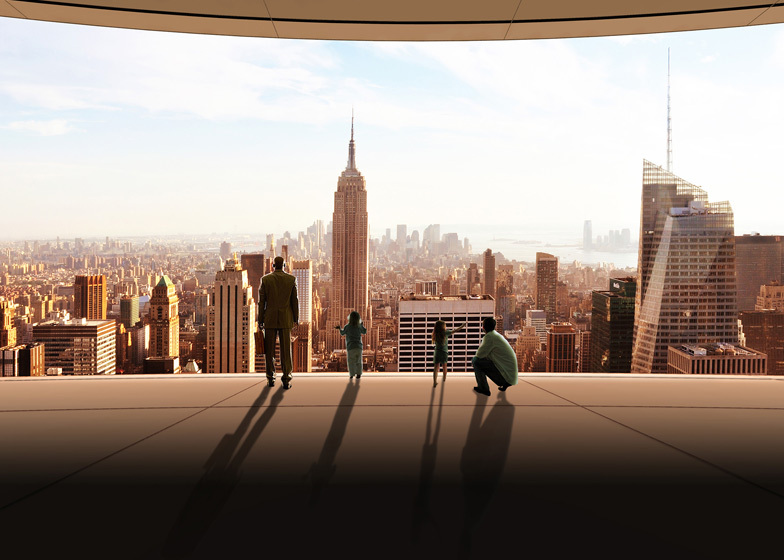 News: while Foster + Partners think simply increasing capacity is the way to improve New York's Grand Central Terminal, architecture firm SOM has proposed adding a floating observation deck that slides up and down the sides of two new skyscrapers (+ slideshow). 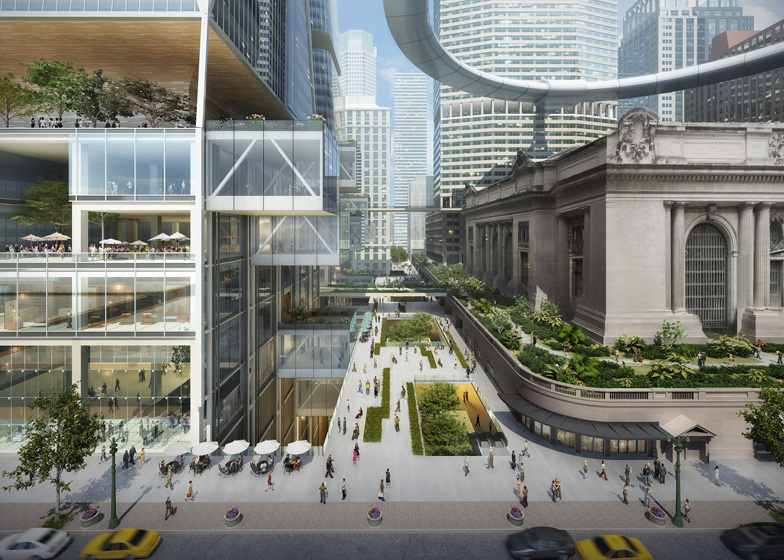 The moving deck is one of several public realm strategies that the firm is promoting for the 100-year-old station, following an invitation from the Municipal Art Society of New York to re-think the spaces in and around the building. 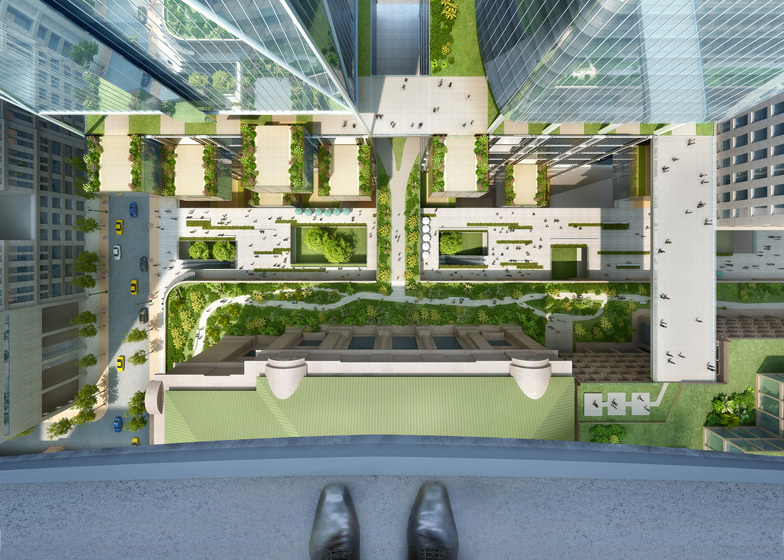 SOM suggests that the hovering deck would improve the quality of the public space around the building by offering an "iconic landmark" with a 360-degree panorama of the city skyline. "Throughout the history of New York City, urban growth has been matched by grand civic gestures," said SOM partner Roger Duffy. 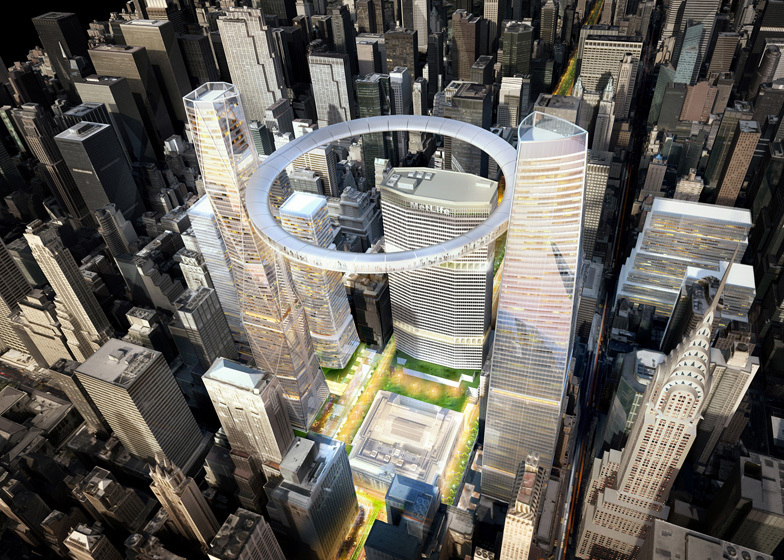 The doughnut-shaped structure would be attached to the sides of two new office towers, which would fit in with the current rezoning proposals of the New York City planning department, designating it as a commercial area. The plans also include new pedestrian routes to help ease congestion, as well as a series of public spaces that are privately owned and managed. 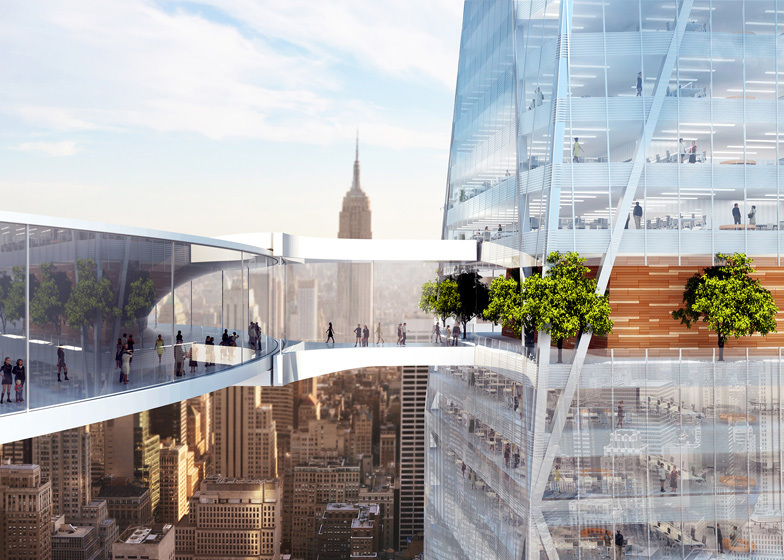 SOM and Foster + Partners both presented their proposals last week at the third annual MAS Summit for New York City, alongside American firm WXY Architecture. 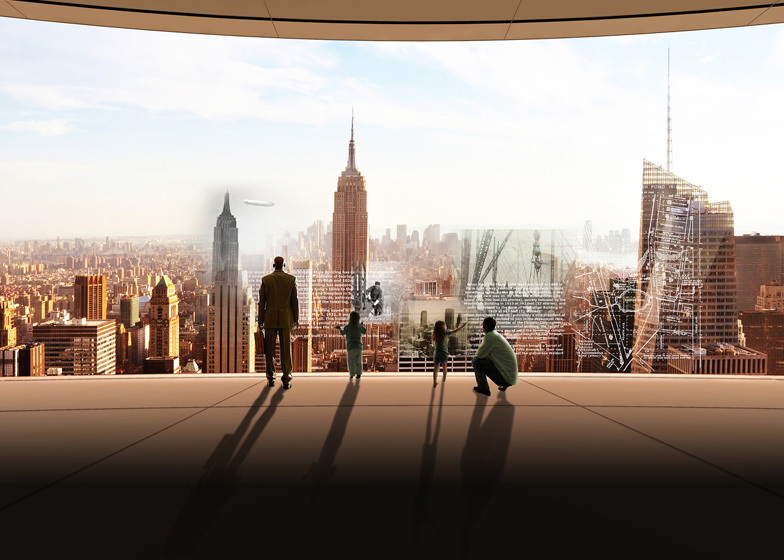 See Foster + Partners' proposals in our earlier story. Skidmore, Owings & Merrill LLP (SOM) presented its vision for "Grand Central’s Next 100" at the Municipal Art Society of New York’s third annual Summit for New York City. Led by partners Roger Duffy, FAIA, and T.J. Gottesdiener, FAIA, SOM’s design transforms the public spaces around Grand Central Terminal, creating new pedestrian corridors for increased circulation and visualizing innovative options for new public amenities. 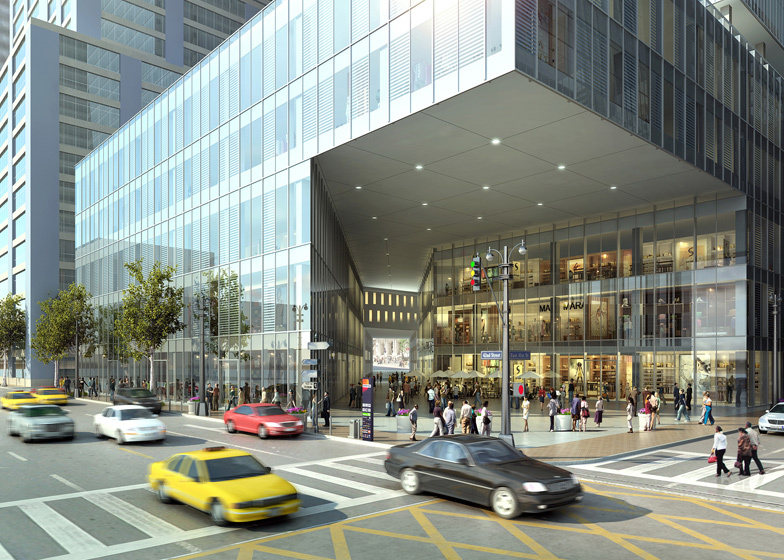 The proposed zoning would also require developers to donate to a fund that would make improvements to the infrastructure in the area, including additional access points to the subway platforms and a pedestrian mall on Vanderbilt Avenue. Along with Foster + Partners and WXY Architecture + Urban Design, SOM was one of three architecture firms invited by MAS to present ideas about the future of Grand Central Terminal’s public realm. 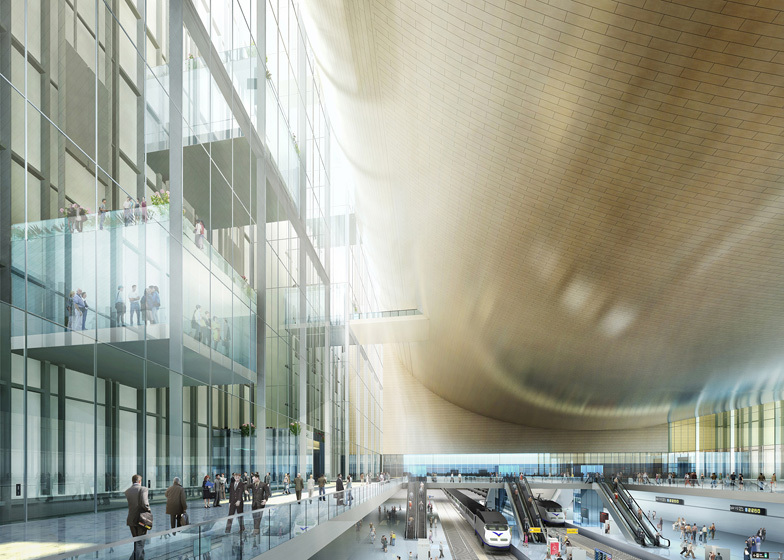 SOM’s vision proposes three solutions, all of which provide improvements – both quantitative and qualitative – to the quality of public space around the station. 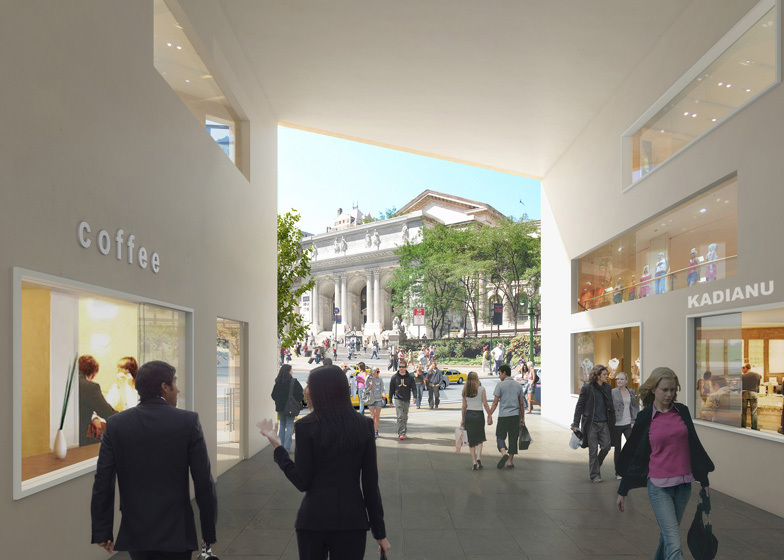 The first solution alleviates pedestrian congestion at street level by restructuring Privately Owned Public Spaces (POPS) to create pedestrian corridors through multiple city blocks, connecting Grand Central to nearby urban attractors. 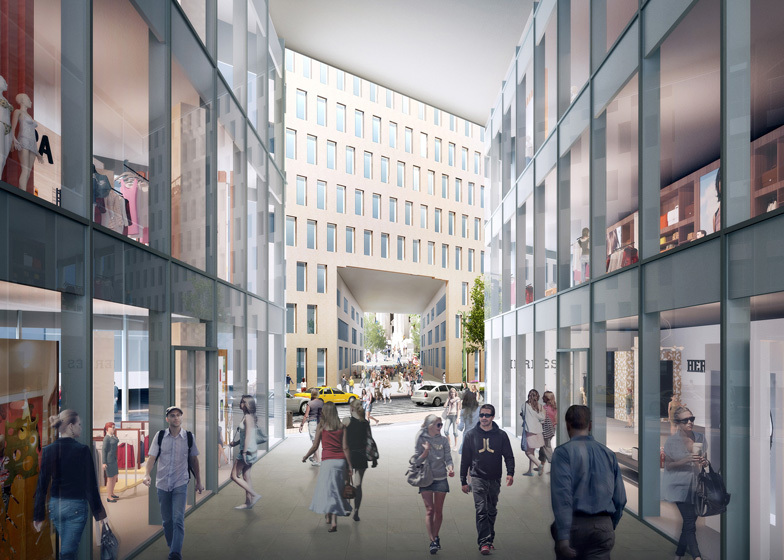 The second is a condensing of the public realm through the creation of additional levels of public space that exist both above and below the existing spaces. These new strata would be funded privately but under public ownership - Privately Funded Public Space (PFPS). 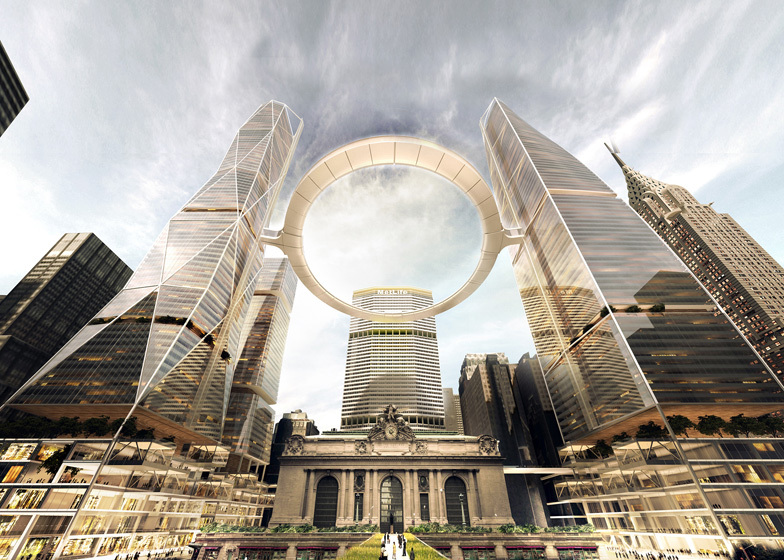 The third proposal creates an active, 24-hour precinct around Grand Central Terminal in the form of an iconic circular pedestrian observation deck, suspended above Grand Central, which reveals a full, 360-degree panorama of the city. 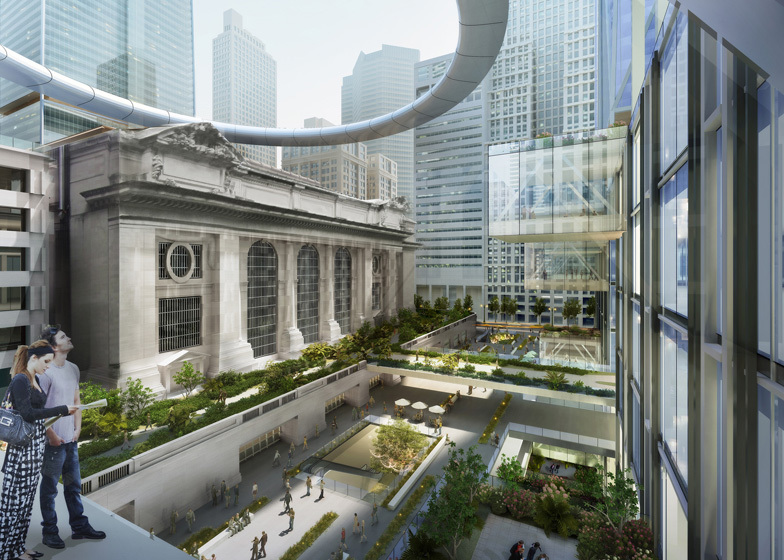 This grand public space moves vertically, bringing people from the cornice of Grand Central to the pinnacle of New York City’s skyline. It is a gesture at the scale of the city that acts both as a spectacular experience as well as an iconic landmark and a symbol of a 21st-century New York City.